West Point, NY – The West Point Band is pleased to announce its 2012 Music Under the Stars series at West Point’s historic Trophy Point Amphitheater. Performances will take place every Sunday from June 17th through September 2nd, usually at 7:30 p.m. Audiences are invited to bring a picnic and a blanket and enjoy wonderful music at one of the most beautiful and historic vistas in the country. All concerts are free and open to all. The season begins on June 17th at 7:30 p.m. with The Hellcats and Concert Band celebrating the Army’s 237th birthday. On June 24th, the Jazz Knights will play music from The Wizard of Oz. The Concert Band will return to the Trophy Point stage on July 1st with a concert entitled The Magic of Broadway. 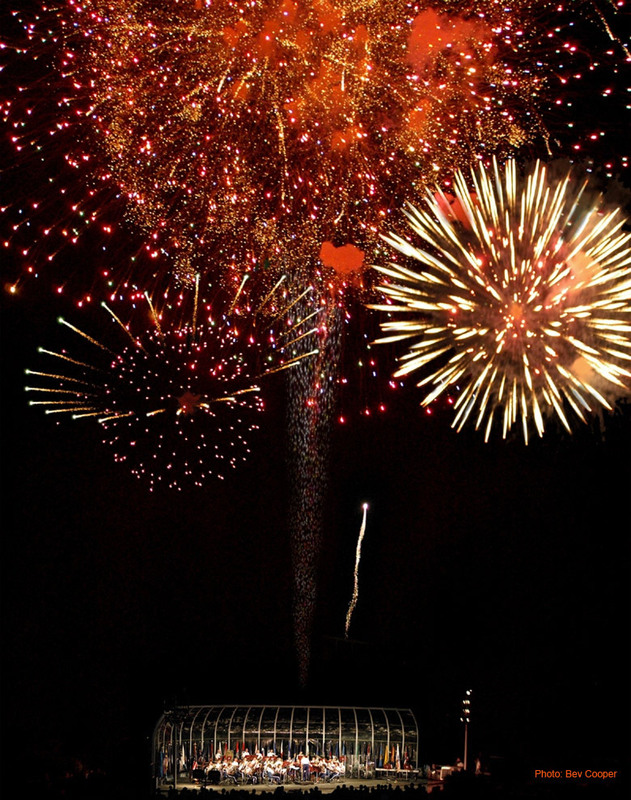 The West Point Band’s Independence Day Celebration with fireworks begins at 8:00 p.m. on Saturday, July 7th. In the event of rain, the concert will be held on July 8th. Be sure to arrive early, as crowds are always large for this Hudson Valley tradition. Alumni of the Concert Band return to West Point on July 15th for the annual Alumni Concert. The band’s high energy group, Quintette 7 will present a fun and interactive Kids Night on July 22nd at 6:00 p.m. The Jazz Knights return to Trophy Point on July 29th presenting music by popular demand. Bring your dancing shoes for the Jazz Knights’ August 5th concert, Dancing Under the Stars. There will be a free dance lesson at 7:00 p.m. On August 5th, the Concert Band will present A Night at the Movies, with music from major motion pictures. The Jazz Knights will perform music of the Beatles on August 19th. On August 26th, the Concert Band will present music made famous by super heroes. The West Point Band will close its Music Under the Stars season with the annual 1812 Overture Concert, with fireworks and cannon. The concert is Sunday, September 2nd at 6:00 p.m. with a rain date of September 3rd. For concert information, cancellations and updates, call 845.938.2617 or visit www.westpointband.com. West Point Band news can also be found by following us on Facebook, YouTube, and Twitter. Before most New Yorkers had downed their first cup of coffee Tuesday, running champ Scott Jurek was leading a group on a 32-mile run around the entire island of Manhattan. Jurek, 38, who lives in Boulder, Colorado, met up with about 50 local runners at 5 a.m., including film star Peter Sarsgaard, for the trek, for a trek longer than a marathon. 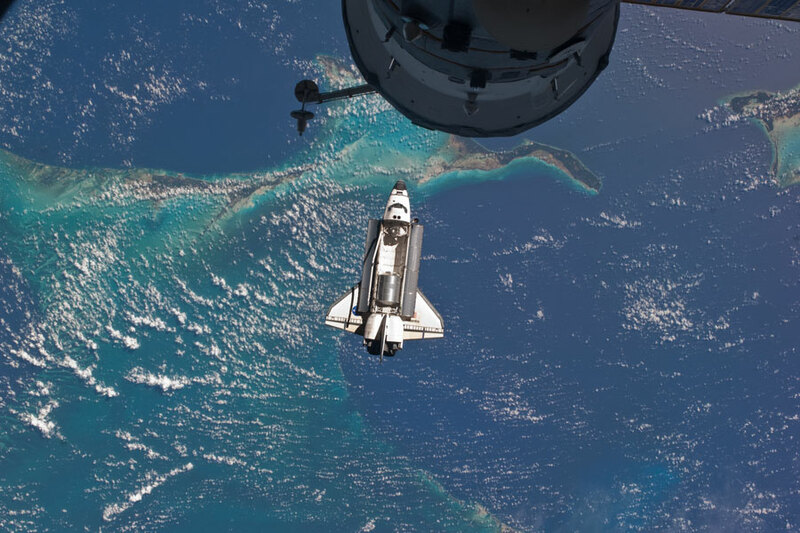 “I always wanted to see the whole island in one shot,” Jurek said. Jurek is a superstar in the running world. He won the Spartathlon race from Athens to Sparta, Greece three years in a row, starting in 2006. That course is a mind-boggling 152 miles. He was in town to promote his new book, “Eat & Run: My Unlikely Journey to Ultramarathon Greatness,” which details his veganism and running triumphs. Jurek’s free run with locals, promoted on Meetup.com, began in Robert Moses Playground next to the United Nations and headed uptown. New runners joined in along the way, while others pooped out. About two dozen made it all the way around the island, including Sarsgaard (shown above), and Jurek tweeted distance updates and photos for the entire route. It was Jurek’s longest-ever all-urban run, which presented some logistical challenges. “Going through traffic you have 50 people, so you realize - is everybody going to make it across?” he said. The tired group found an oasis when they reached Inwood Hill Park on the northwestern tip of Manhattan. They also stopped at a Twin Donut to refuel, though Jurek stuck to energy bars. Jurek completed the run in five hours and 52 minutes, giving him plenty of time to get to know New Yorkers who joined him. Runners raved about the experience. “It was like running with your heroes, like meeting the Beatles,” said Denise Hidalgo, 53, who joined the group briefly near her home in Washington Heights before running out of steam. “I never thought that was humanly possible,” she said. Actor Peter Sarsgaard, who plans to direct a movie based on the book “Born to Run: A Hidden Tribe, Superathletes, and the Greatest Race the World Has Never Seen,” by Christopher McDougall, completed the entire route. Jurek is a key player in the book. Sarsgaard, who played villain Hector Hammond in “Green Lantern,” took the run as an opportunity to bond with the ultramarathoner. For close to three decades, New York Waterway, an active ferry operator in the region, owned a small pier just south of the Lincoln Tunnel, one of the only private Hudson River piers in Manhattan, according to the City Planning Department. 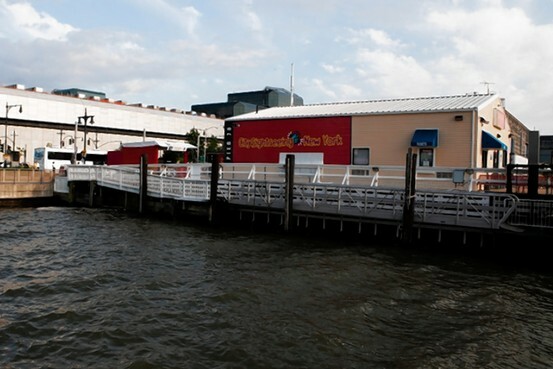 Now New York Waterway has sold Pier 78 to another transportation company for $7.5 million. It was purchased by a limited liability corporation with ties to the Marmurstein family, which owns a number of sightseeing tour and bus lines in New York and Miami, according to Armand Pohan, chairman of New York Waterway. The Marmurstein’s company, Twin America, runs double-decker bus sightseeing tours under the City Sights and Gray Line brands, and sightseeing cruises, which depart from Pier 78. Representatives of the Marmurstein family and Twin America couldn’t be reached for comment. Pohan said in an interview that New York Waterway used Pier 78 for years but moved its ferries to the municipally-owned West Midtown Ferry Terminal, which opened in 2005 on the adjacent Pier 79. He said that Pier 78 will continue to be used by tourist boats. “We do best in running boats, they market tourism much better than we do,” Pohan said of the Marmurstein family. New York Waterway acquired the Pier 78 property in 1983 from a subsidiary of the Penn Central Transportation Co., which was operating out of bankruptcy protection at the time. The pier, which runs north-south about 65 feet and extends more than 300 feet west on the Hudson River, has been used as a ferry terminal since the 1980s. Two iconic images in one view: Coney Island's world-famous Cyclone is seen as the Shuttle Enterprise sails by on a barge, on its way from JFK to Port Elizabeth, NJ, before heading for permanent place at the Intrepid. The following tours are offered by Kayak Hudson. Please check thecalendar for dates and times. We have added Stand Up Paddle Boarding to our program lineup. This growing sport is lots of fun, a great workout, and a unique way to experience the waterways of New York! Description: The Instruc-Tour is geared toward first timers and beginners that want to get on the water and have a blast! Stand Up Paddling in one of the fastest growing paddlesports today. This program will start you off with the basics of stand up paddling. There is an on-land introduction/ safety talk, and then the group hits the water for some on-water instruction. We start in a relatively protected bay area so that everyone has an opportunity to get their “sea legs”. After folks are feeling comfortable on their boards we head out for paddle. Our Instructors will talk about on-the-water safety, decision-making, essential safety gear, selecting the appropriate size and type of board, paddle selection, and basic accessories. The skills covered during this lesson include standing up on a board for the first time, lifting and carrying a paddleboard, launching and landing, paddleboard stance, the forward stroke, basic turning strokes, and stopping. No experience is necessary for this lesson but the conditions of the day (wind, waves, etc. ), will determine the difficulty level. Please refer to the calendar or call 914-682-5135 to make your reservation. For an idea of what to wear in order to be comfortable, please refer to our website section on "what to bring" in the FAQ's. Description: Come take a sunset paddle and spend "magic hour' on the water watching the sun set over the western shore of the Hudson River. This is a great way to end your workday and is perfect for anyone looking to chill out. The Instruc-Tour is geared toward first timers and beginners that want to get on the water and have a blast! Stand Up Paddling in one of the fastest growing paddlesports today. This program will start you off with the basics of stand up paddling. There is an on-land introduction/ safety talk, and then the group hits the water for some on-water instruction. We start in a relatively protected bay area so that everyone has an opportunity to get their “sea legs”. After folks are feeling comfortable on their boards we head out for paddle. The skills covered during this lesson include standing up on a board for the first time, lifting and carrying a paddleboard, launching and landing, paddleboard stance, the forward stroke, basic turning strokes, and stopping. No experience is necessary for this lesson but the conditions of the day (wind, waves, etc. ), will determine the difficulty level. We offer hourly rentals of Stand Up Paddle Boards at Croton Point Park. This is a great way for adventurous beginners, intermediate, and skilled paddlers to enjoy the beauty of the Hudson River and Croton Point Park on their own. Paddle out from our launch at Croton Point, explore the near shore areas of Half Moon Bay, and gaze across the wide expanse of Haverstraw Bay at High Tor and Hook Mountain on the west side of the river. Rentals include Personal Flotation Devices (PFDs), a leash, and a paddle. Advanced reservations ARE required for Stand Up Paddle Boards at Croton Point Park. Participants must have successfully completed a Stand Up Paddleboard lesson OR be able to demonstrate appropriate paddling skills. Participants that successfully complete our SUP Instruc-Tour program will be given a voucher for a 1-hour rental to offset the costs of the lesson. Please refer to the calendar or call 914-682-5135 to make your reservation. For an idea of what to wear in order to be comfortable, please refer to our website section on "what to bring" in the FAQ's..
We offer private lessons upon request. They are available at any of our locations. These lessons are a great opportunity to focus on your skills that need improvement or concentrate on a new skill. The lesson can follow the syllabus of an existing lesson we offer or be custom designed to meet your interests and needs. Are you a hard-core outdoor junkie or a weekend warrior? Maybe someone that just gets out and enjoys what nature offers us? Or are you curious about learning a fun and exciting outdoor activity? Join the staff from Eastern Mountain Sports Scarsdale for a day outdoors playing with some of the best new kayaking/SUP gear, road and MTB bikes, camping gear and hiking and trail running shoes. Our store experts and Guides will help you learn a new activity or experience your favorite sport with some new ideas and gear. This is a FREE event that is open to everyone!